The VMA (Veterinary Marketing Association) awards took place on 16 March 2018 at the Royal Lancaster Hotel in London and celebrated excellence in all aspects of veterinary and animal health marketing. 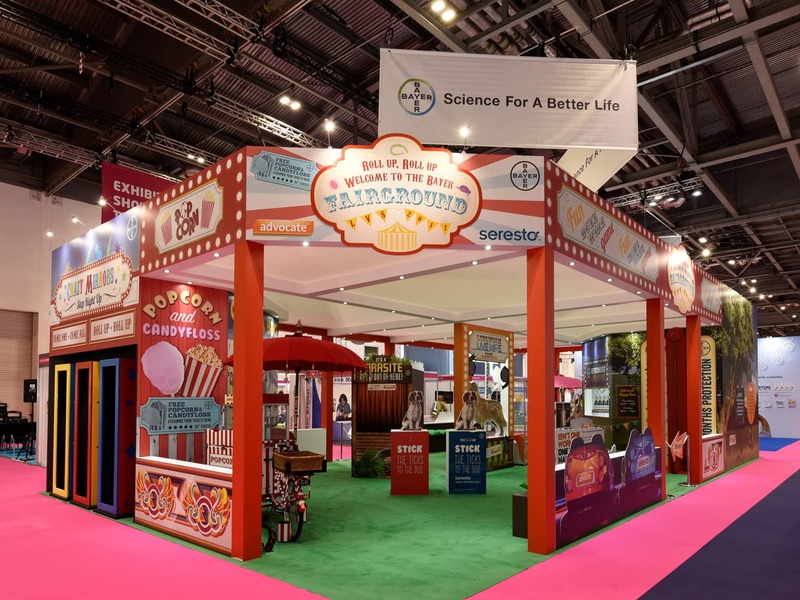 We are delighted that our client Bayer won the Best Exhibition Award for the stand we designed and built for them at the London Vet Show in 2017. 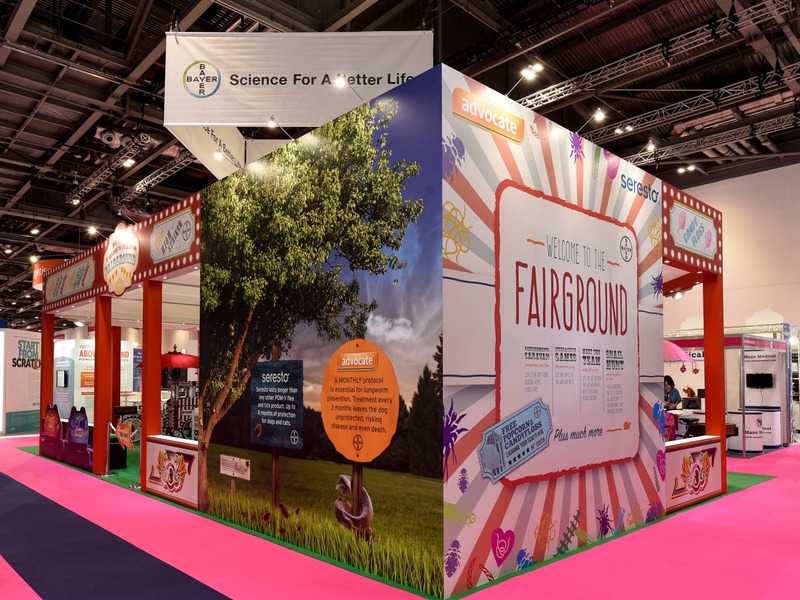 The brief for the stand was to communicate the serious messages about the efficacy of Bayer products in an engaging way that could help Bayer to stand out in the exhibition hall. 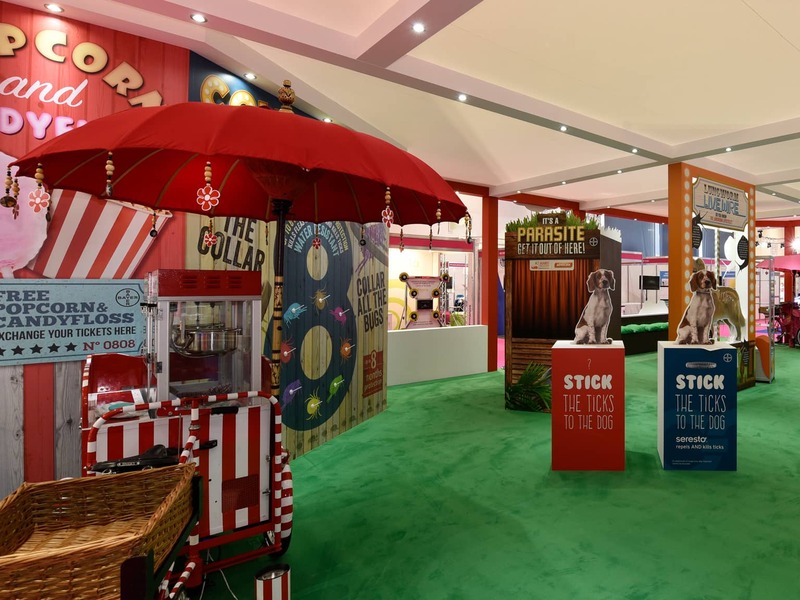 Using a fairground theme we designed and built not just a stand but a unique, fun and traditional fairground experience. We created interactive games to involve visitors whilst delivering key product messages. Popcorn, candy floss and a refreshments caravan with happy hour encouraged delegates to remain on the stand and spend more time with Bayer representatives. “The creativity and attention to detail is exceptional, and the standard of the finished product always surpasses our expectations. Their ‘can do’ attitude makes them enjoyable to work with, and I wouldn’t hesitate in recommending them to anyone. This award win comes shortly after our Top 10 campaign for Viking Cruises secured second place in the Travel Marketing Awards. We are delighted to have made such a fantastic, award winning start to the year and are looking forward to what the rest of 2018 has in store.